The early ripe hybrid belongs to the group of ripeness of FAO170. The vegetative period from germination to full ripeness 100-105 days. 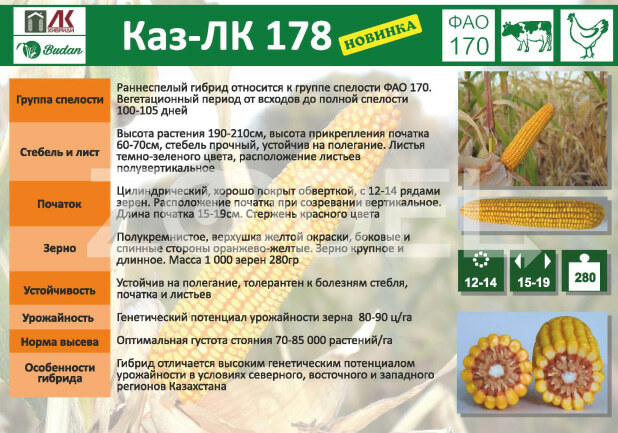 Genetic potential of grain yield 80-90 c / ha, green mass 500 c / ha. Differs in high genetic potential of yield and adaptive qualities. Packaging Details Seeds are packaged in three-layer, paper bags of 25 kg.